Πατήστε τη φωτογραφία και δείτε όλες τις φωτογραφίες του Hanting Express Guangzhou Tianhe Road. Διαθέσιμο WiFi σε όλους τους χώρους, 24ωρη ρεσεψιόν, Γρήγορο check in/check out, Χώρος φύλαξης αποσκευών, Καθημερινή υπηρεσία καθαριότητας, Ανελκυστήρας, Κλιματισμός. Located in the Tian He district in Guangzhou, Hanting Express Guangzhou Tianhe Road features air-conditioned rooms with free WiFi throughout the property. It is within a 10-minute walk from West Tiyu Road Subway Station (line 1 and 3) or Tianhe Sports Centre South Station (line APM). The hotel is a 10-minute drive from Taikoo Hui and a 15-minute drive from Tee Mall. It is a 17-minute drive from Guangzhou Railway Station while Guangzhou South Railway Station is a 35-minute drive away. 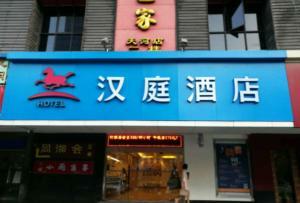 Baiyun International Airport is a 50-minute drive from Hanting Express Guangzhou Tianhe Road. Air-conditioned rooms here will provide a cable TV and a kettle. There is also a private bathroom with shower. For your comfort, you will find slippers and free toiletries. Luggage storage is possible at the 24-hour front desk. It also provides free bottled water.